One most-challenging issues facing employers is the fishy use of leave by employees under protection of the Family and Medical Leave Act (FMLA). The FMLA has been costly to businesses. It has led to productivity issues and disruptions in scheduling and expenses. Widespread employee abuses have exacerbated employer challenges. Abuse of the FMLA is so rampant, management everywhere is naturally suspicious. According to the Department of Labor’s web site, the FMLA permits 12 weeks of leave if an employee works a 12-month period. However, the leave is unpaid. And it’s for the employer who has 50 or more workers within a 75-mile radius of the work site. Employees can use accrued paid leave such as vacation and sick days. Employers may require workers to exhaust their paid leave before taking leave under FMLA. For a serious health issue of the employee or family member. Reasons pertaining to military employment or to care for a member in military service. 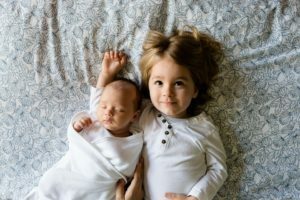 The birth of a child, to bond with it or the placement of a youngster with your employee either for adoption or foster care. The abuse is difficult to prove under the FMLA criteria. Even just for hinting at employee abuse, companies have been hit with employee claims of either FMLA obstruction or retaliation. However, if employers can show the FMLA leave is used for fraudulent purposes, they can legally defend themselves against employee complaints. Courts have ruled adversely on technicalities. For instance, when employers have terminated employees after taking FMLA leave but didn’t use it for that purpose, companies have lost in court. 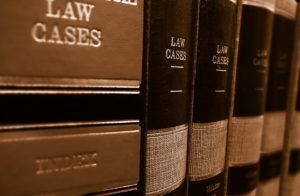 In other words, courts have ruled that when a company has suspected and proved FMLA-leave abuse, the firing did not hinder the employee’s rights. Even when employers have hired private investigators and obtained proof from the employee’s friends or social media in order to prove fraud, courts have ruled in favor of employees. So, you should get legal counsel and demonstrate considerable care and respect before challenging employees on their claims. Before approving leave or challenging abuse, you should also monitor submitted information using Department of Labor forms. Be cautious before approving and scheduling an FMLA leave. You are legally permitted to request a doctor’s certification about the need for a leave. You can also ask for new medical certification in advance of each FMLA year. If you’re dissatisfied with an opinion, you can request second or third opinions. For intermittent leave, some employees have chronic conditions and certifications. So, try to plan in advance for leave schedules. You can’t refuse leaves, but you’re on sound legal ground if you attempt to plan in advance. Do your best to anticipate the duration and frequency of intermittent FMLA leave. You can insist on a diagnostic prediction of when a leave will be justified. Until you get such doctor estimates, you can delay approval. Specificity matters. Inquire about the employee’s specific situation. A medical certification can only pertain to a serious medical situation. Note: Don’t inquire about the person’s general medical situation. Adhere to time frames for employee responses to your request for certification. Allow the employees a minimum of 15 calendar days to respond with the documentation. If the paperwork is not complete, inform your employee in-writing why it’s insufficient. Then, give the employee seven days to provide the necessary information. If you suspect something is amiss with a certification and the need for a leave, then investigate. You are allowed to contact the employee’s doctor for clarification. Note: Do not allow the employee’s direct supervisor to contact the physician. Otherwise, it’s OK for people such as your HR representative, other top managers or third-party administrators. If you’re not convinced about the veracity of a certification, you can insist on another opinion and compensate for it. Don’t use a physician with whom you work. Choose a doctor who is totally independent. In the event of differing opinions, you can get a third opinion and make it a mandatory opinion. 13 Management Tips to Solve Employee Absenteeism — Absenteeism causes migraines for a lot of bosses. Obviously, your company will make healthier profits, if you don’t have an absenteeism problem. How to Smoothly Manage Your Employee Vacation Schedules — Depending on the size of your staff, managing around your employees’ vacation schedules can be a thorny issue. That’s especially true for a small operation. With just a few employees, it can be difficult to keep everyone happy and to cover the workload. Nothing surprises me. I’m in management. In talent management, coaching, counseling and giving feedback is of utmost importance. But it’s a difficult challenge if you don’t have a coaching culture. When managers become coaches, you get a higher-performing workforce. You will have replaced mediocrity with strong performance. Therefore, it’s best to develop a coaching culture to optimize talent management. If your employees become toxic or if they backslide in performance and productivity, you need to figure out how to solve the problems. Essentially, there’s a variety of challenges for you. Be absolutely certain you’re accurate in your employee assessments and avoid errors in evaluations. For instance, you have to be aware that new workers have a learning curve. Veteran employees are asked to change. Toxic employees are disruptive and destroy morale among your staff. In many situations, employees are fearful of coaching and don’t respond well. It’s also stressful for you. Avoid management stress. Take the necessary steps to enjoy your job while managing difficult employees. Frustrations dealing with difficult employees coincide with many management issues – teamwork, morale, organizational dysfunction and weak customer relationships – just to name a handful. And they’re all related to loss of profit. Especially for toxic employees, it’s vital to develop the best coaching tactics. In all employee issues, you must always plan well and then self-ascertain how you did in managing the employees. What would you change about your approach with the employees? How can you better prepare for such conversations? How can I best support the employees and capitalize on the counseling? A well-written set of performance goals work to motivate employees and help them to focus better on their responsibilities. They must be written well with the right phrasing. Concurrently, give employees a chance to mull over what you said and to respond by engaging with you. This helps to guarantee the best results. The employees become more confident and feel management support to implement an action plan with autonomy in their duties. Always remember your approach must be to discuss employees and inspire them to work out their challenges vis-à-vis just telling them to improve or telling them what to do. What if your coaching isn’t working? Then, you must continue to be fair but to embark on progressive discipline to fix the problems while guarding against possible wrongful termination lawsuits. Immediately when spotting a performance issue, you should issue an oral reprimand and document it in detail and put it in a separate file (not the employee’s file). In starting your reprimand, remember to ask if the employee if there are any skill shortcomings or long-term problems. Do your best to save the employee. This might or might not include referring your worker to your Employee Assistance Program, especially for drug addiction or alcoholism issues. If the employee fails to improve or if more problems develop, give the employee a written reprimand about the deficiencies, what’s expected and the possible consequences. Be sure to explain your benchmarks for improvement in performance. Have the employee sign an acknowledgment of your written reprimand. Insert in the employee’s HR file. Should your efforts fail, give the employee your final written warning. Usually this includes probationary status. With your warning, include copies of the previous reprimands. Be specific on expected improvements. Specify time frames for improved performance. If you have a human resources department, of course, by now HR showed be notified about the issues. Prevent possible challenges to terminating the employee. Determine whether you have a contract with the employee and any possible restrictions. Check on employee complaints – whether the employee has filed a workers’ compensation claim, complained to government regulators, or strategized to make it look as though you’re retaliating. Retaliation is a huge no-no. Review all your steps to maintain fairness with the employee. You must be able to prove your case should there be legal ramifications. Keep in mind that if you’re forced to terminate workers, you must first ask yourself three important questions. After you’ve given the employee adequate opportunities to improve, start the termination process. HR: Avoid Bias in Evaluating Top Employees Who Backslide — Don’t be too lenient with talented employees with a history of strong performance but who decline in their work. Document every event in any downtrend of performance. Inevitably, many terminated employees will file claims accusing you of discrimination. 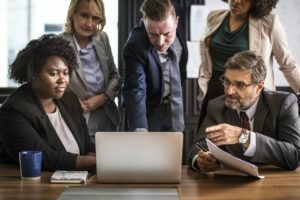 Management: 5 Most Common Reasons to Fire Employees — With difficult employees, you have two obvious problems – the impacts on your organization and the behavior of the individual. Here’s what to do. Management: 7 Tips for Success if You Must Layoff Employees — Companies typically make two short-sighted errors in a business downturn. They slash the workforce and marketing investments. To the contrary, it’s important to place a maximum value on your human capital and avoid layoffs, and to expand marketing. If you have business secrets to protect, you might want to use a confidentiality policy. That will inform your employees and other stakeholders what’s important and what you want to keep in confidence. To assure privacy, you might also consider a nondisclosure agreement (NDA) with your employees and strategic partners. They are typically appropriate and lawful. Do you have to protect proprietary information? Such information might be unique marketing and sales strategies, proprietary research or maintenance of confidential data belonging to your customers that need to remain private. Do you have to stop leaks? You don’t want employees to be careless with your proprietary information. So, convey your concerns about confidentiality. Take precautions such as only giving information to certain employees on their need-to-know basis and discipline anyone who violates your trust. Do you have to guard against theft? You will probably need to inform your employees to keep your proprietary information secret. They need to know you’re serious enough to use lawful means to back up our policy. For legal success, you have to make certain your information is not publicly available outside your company. In addition to issuing a confidentiality policy or an NDA, you might also consider a noncompete agreement with key staff. Basically, a noncompete agreement is usually a contract designed to keep proprietary information secret and prevents an employee from working for your competitors for a certain length of time. However, for any chance of success with a noncompete, the company must demonstrate it’s reasonable and necessary to guard against unfair competition. Note: Consult a good local employment attorney to make certain a noncompete is valid in your situation. Each state has its own laws about whether a noncompete is lawful. Many states restrict or don’t enforce noncompete agreements usually because they’re too broad. Some will enforce some provisions in business-trade secrets but not the work restrictions. The good news is that companies often prevail in court if an employee signs a noncompete and gets an extra payment before the start of employment. That’s because the court will rule the noncompete was part of the employment package. However, if the agreement is signed after the start of employment and without extra payment then the pact is likely to be invalidated. Also, the agreement will likely not be upheld depending on the states where the company is domiciled and where the employee is situated. If one of the two states restrict noncompete agreements, then it likely won’t be upheld. In some cases where companies have terminated employees for refusing to agree to a noncompete, the employers have been found guilty of wrongful termination and of unfair trade practices for acting in bad faith to enforce a noncompete. Your information must not be available outside your business. Your information must be purposely limited within your business. You must take logical precautions to protect the confidentiality of your information. The information must be valuable to your business and to your competitors. To develop your information, it must cost you considerable resources and time. It must be difficult for competitors to either get or develop the information. Before you create a confidentiality policy and/or an NDA, be sure to state what is confidential and propriety. Provide some specifics. And be sure that people understand that the information is not limited to your example specifics. 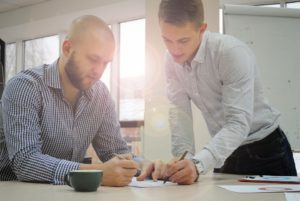 10 Tips for Hiring the Right Attorney for Your Business — In selecting the right business attorney, talent and skill levels are among the crucial traits needed for your success. Here are Biz Coach 10 tips. Best Practices with HR Records to Guard against Legal Risks — If you aren’t able to supply relevant documentation, you’ll pay a heavy price. In some cases, you’ll even be forced to give the job back to a nonperforming or toxic employee. In this competitive and litigious marketplace, small details in human resources can make or break a company. Even though an organization’s performance matters, many managers unfortunately take shortcuts in the hiring process. The reasons range from being too busy for due diligence in screening resumes to inability to take sober looks at applicants in the interview process. This can drastically affect businesses’ cultures such as leading to lack of teamwork, inattention to details or poor customer service. Ultimately, profits are adversely affected. All positions in the organizational chart, including receptionists, are important. For instance, if a furniture retailer hires the first person to walk in the door to work in the warehouse, the wrong employee will hurt customer service and sales – either in the slow delivery of products or the delivery of wrong products. True, in our litigious environment, businesspeople are increasingly reluctant to answer questions and to give accurate information. But a skilled boss knows how to call the applicants’ former bosses and references about specific matters to ask open-ended questions, not close-ended questions. In this way, they get better answers. Moreover, the questions should correspond to an HR tool: A reference-verification form. The form asks the applicants questions such as how they believe their former companies will evaluate them in precise matters. In this way, the bosses can compare the applicants’ answers to the answers of the former employers. Many bosses are too complacent about honesty and attitudes. The right applicants are people who want to do a job well. Don’t settle for just anybody who can do the job. Astute bosses won’t focus on trying to catch applicants in lies. They have a process to help them determine that will prompt applicants to tell the truth. Not true. Consider this fact: Applicants, who are mesmerizing in their interview answers, typically have the most experience in answering questions. They’ve had lots of coaching and practice in smiling and answering obvious questions. As a business-performance consultant with a home office, I’ve had to be very careful in hiring personal assistants. I asked people I trusted for referrals. Once, I asked for a referral from the owner of my dry cleaners, who had been doing an outstanding job on my apparel. She recommended a retired Air Force mechanic to me. But on the surface, there were some reasons for me not to hire the person. She appeared to be very shy with no bookkeeping experience. But I saw something special in her. She was due diligent in showing up for the interview, asked good questions and asked her husband to interview me as the employer. Upon getting his blessing, she accepted the job. Not only did she prove to be honest, accurate and extraordinarily dedicated in managing my receivables and payables, she did a stellar job in other unrelated tasks for three years. She literally saved me a lot of time and money by performing at a high level. Years later, I’m told she launched her own business based on her experience in working at my firm. That’s a very proud memory for me. The moral: Always keep an open mind to consider all factors. If you hold your applicants to highest-realistic standards, you’ll benefit from their performances. On the other hand, if you don’t place a high value on positions – at all levels – the employees will get the impression they don’t matter. You should want people who want to perform well at the best company. If your instinct about an applicant is positive, look for every possible reason to disqualify the person. Don’t ever make a snap judgment in hiring. Make absolutely certain the person is right for the job. Hiring An Impact Person Starts with Screening Resumes — 5 Tips — If you want to hire an impact person, your hiring process is really important. The place to start is using best practices in screening resumes. 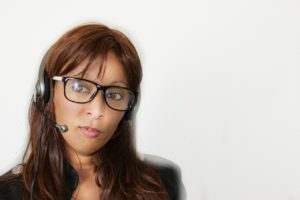 Hiring a Personal Assistant? Hire for 8 Qualities — The right choice of a personal assistant can make a huge difference in your operation. Basically, you need someone who can manage you – represent you well in a variety of tasks – an assistant who can make you look good. Increase Profits by Hiring Talent with the Best Trait — You’ll increase your odds for profits with high-performing employees with the right culture — if you hire for the right personality trait – enthusiastic people. That’s right. Look for people who have the makeup to being committed and who will care for the welfare of your company. You’ll increase your chances for the strongest results. Hiring? 4 Pointers on Negotiating Wages with Applicants — Some employers have had difficulty in successfully extending job offers to applicants, especially Millennial professionals. Here’s what to do. Generally, in human resources, companies find themselves in legal hot water because they inadvertently make mistakes with their employees. It’s important to triple down on preventative measures and responses to legal hazards when necessary. Think and act pre-emptively. Stay vigilant. If you see even a hint of a problem, don’t ignore your instincts. Deal with potential problems right away. Be aware of the salient trending issues in HR. Take seriously any reports of sexual harassment and workplace bullying. Don’t hesitate – keep detailed records – remember to create a paper trail … paper trail … paper trail. Use best practices with HR records. In the event of problems, if you aren’t able to supply relevant documentation, you’ll pay a heavy price. Be cognizant and comply with all relevant federal and state laws. If you have any doubts, find out what you need to know. Stay current on all laws. Consider finding a good attorney who specializes in employment law. Trust your counsel and follow recommendations. Make sure your policies stay current and that your practices are consistent. Train your managers and supervisors on all relevant laws and policies. Make certain your company is a place for learning. Train managers how to coach your workers. When managers become coaches, you get a higher-performing workforce. You will replace mediocrity with strong performance. Therefore, optimize your talent management with a coaching culture. Be fair and treat all employees equally. Be sure to say the right things in difficult situations with employees. Careful planning is necessary before you give an employee an appraisal or in advance of terminating the person. Despite taking precautions, understand you’re in a potential minefield. Stay composed, relaxed and respectful. Meantime take the right steps to enjoy your job even when managing difficult employees. Should a workplace investigation be necessary be honest and polite, and timely comply with all investigative requests. As an employer, one of your biggest nightmares can be issues involving your employees. There can be many reasons to conduct an investigation. So, use best practices in workplace investigations. Recruit and hire the right people especially for emotional intelligence. Admittedly, there’s a myriad of ways to recruit great employees. But no recruitment option surpasses a well-executed, strategic employee-referral program. Employee Records: Which Ones to Save and for How Long — You don’t want to keep unnecessary employee records. Nor do you want to make a rash decision on whether to destroy records. Here are the laws you need to know. How to Increase Conversion Rates of Online Job Applicants — Your business is not alone when it comes to the high costs incurred in the recruitment of job applicants online. Most job seekers get frustrated and quit in the middle of their online applications. To keep growing a business, it’s vital to preserve the trust of customers, employees, partners and investors. No matter how small or large your company is, a strategically written succession plan is critical for sustainability. That must include talented employees and start with the chief executive officer. Otherwise, if a CEO vacancy occurs without a succession plan, it creates an emergency and critical trust issues. The succession plan must be designed and implemented well and take in consideration the opinions of key stakeholders. It must also be reviewed every six months to prepare for any possible volatility. Planning should include anticipated challenges and solutions regarding risks such as trends in competition, supply chains, customer preferences, and other marketplace forces. With a company’s human capital being so important, it’s noteworthy that “90 percent of young workers say their engagement levels improve if the company they’re working for has a clear succession plan,” according to Davitt Corporate Partners. The company, based in Dublin, Ireland, naturally points out the importance of intellectual capital. “If all the best people end up leaving your company without sharing their knowledge; 40 years of experience is just walking out the door and lost forever,” says a company statement. “A succession program will ensure critical positions are filled more quickly and that there is reduced staff turnover,” the company concludes. Management — Big Banks Provide Lessons in Succession Planning — Many businesspeople are so focused on operating their businesses, they forget about human capital – their most important asset. Organizations from small to large should strategically make a succession plan. Rules to Successfully Bring Your Kids into the Family Business — Naturally, in bringing your kids into your family business, the key to long-term success is to do it the smart way. Here’s how. Remove Guesswork for Promoting Talent within Your Business — In baseball to win the World Series, there’s often a correlation among a team’s management, talent and its farm system. That’s true for business. HR: Overcoming Tech Trends, Boomer Retirements — There are ominous implications for human resources departments — from the same tech trends that have empowered consumers to force businesses into the digital age. Yes, our litigious society might be forcing you to be paranoid about employee records. This means your human resources is probably burdened in recordkeeping. The paperwork can be overwhelming. You don’t want to keep unnecessary employee records. Nor do you want to make a rash decision on whether to destroy records. As in all business decision-making – when in doubt – don’t. Therefore, use best practices with HR records to guard against legal risks. For a minimum of two years, you must retain all records pertaining to basic employment. That includes all payment and deduction details and timecards; billing and shipping records for customers, and wage-rate tables. For at least three years, you must keep all agreements, certificates, collective bargaining agreements, employment contracts, notices, payroll records, and sales and purchase records. Under the EPA, you must retain several documents for two years: Why different wages are paid to different sexes. That includes collective bargaining agreements, job evaluations, wage rates, and seniority and merit systems. For at least one year, to avoid unnecessary problems associated with the various types of discrimination and the EEOC, you must kept all employee-termination records. For at least one year, you must retain records pertaining to benefit plans. For six tips for micro-companies and 13 strategies for larger organizations to avoid EEOC migraines, see How to avoid EEOC Discrimination Suits. If you have fewer than 50 employees, your business is not subject to FMLA. However, you might be subject to your state’s family and medical leave laws. Under the Immigration Reform and Control Act of 1986 (IRCA), you must retain an employee’s I-9 Employee Eligibility Verification form for three years after the person is hired. Should the employee stay with your company for three years, IRCA dictates you must keep the person’s form for at least one year after the person departs from your business. For five years under OSHA, you must keep all documents of employment-related illnesses and injuries. Note: For 30 years, you must keep records for problems such as for toxic exposure. For six years, you must keep records of benefit plans under ERISA. That, of course, means summary descriptions and annual reports. Imagine a hypothetical scenario for a moment the boss, Jane, is frantically trying to optimize revenue. But an employee named Sue goes to Jane with a troubling story about another employee named Mary. Ironically, Mary is the best-selling employee. Sue alleges that the Mary is not only under-performing in customer service, she is turning off customers by treating them badly. Jane panics. It makes her so angry that she approaches Mary with the allegation and reproaches her. Mary is dumbfounded. She becomes upset and denies the allegation. An argument ensues and Jane fires Mary. Naturally, as a boss you’re more savvy than Jane. You’ve already done your footwork and know what’s really going on so you know not to get sucked into this quagmire or conduct a workplace investigation. You know not to congratulate Sue for being a tattletale and not to take punitive action against Mary. Instead, you would have walked the floor at least twice a day to observe your employees working with customers. You would also have recalled Mary’s superior performance. You would also have explained to Sue that she should focus on her own customer service skills and not be monitoring other employees unless there’s illegal activity or someone’s safety is at-risk. As a manager, your job is sometimes made more difficult than necessary because of unproductive workers. With difficult employees, you have two obvious problems – the impacts on your organization and the behavior of the individual. So you should use tactics to enjoy your job managing difficult employees. You also need to accurately appraise employee performances by avoiding 12 errors in evaluations. After sufficient counseling and evaluations and employees aren’t able to improve, a good manager doesn’t allow the persons to overstay their welcome. In an uncertain marketplace, it’s not unusual for productivity to slow down. There can be many reasons why an employee is not at fault. However, if it’s shown you have workers whose productivity is poor, fail to improve, show signs they don’t want to improve or they take up too much of your attention, it’s time for you to act. That even goes for employees with a good work ethic and who are amiable and reliably on time, if they fail to develop their skills to help you make a dollar. You must make a change. Some employees should not be allowed to stay if they’re morale busters. For instance, perhaps they bully others, frequently argue with you or coworkers, spread rumors, fail to carry out company policies or complain about job requirements, you need to sever the employer-employee relationship. Aimless complaining is a symptom of problems in teamwork, morale, negativity and/or productivity. You should be getting good employee ideas, not whining. You must have a workforce that understands change is unavoidable. Employees must be OK with change and be flexible to change or improve with the times. When you have normally dependable workers but who can’t cope, you must nevertheless replace them. When employees suffer a personal tragedy like the loss of a loved one, sometimes the last thing they remember to do is to call into work. Empathy is recommended. But it’s a red flag if they have another tragedy and fail to call. To avert losing time and money, your company must have good policies regarding absences. If employees fail to call again, chances are they’re undesirable workers in other respects. If so, it’s time to let them go. For healthy profits, it’s also good strategy to embark on a program solve employee absenteeism. When a customer or vendor feels taken for granted, 70 percent of the time they will fire your company. Worse, your word-of-mouth advertising will suffer. Unhappy people will usually complain to numerous others. For your customers, especially, their complaints about your company will become a crusade in their daily conversations or on social media. You can’t afford employees who aren’t service-minded for your customers and vendors. How to Rock Your Human Resources with Employee Referrals — Admittedly, there’s a myriad of ways to recruit great employees. But no recruitment option surpasses a well-executed, strategic employee-referral program.